All prices include postage and packing within the UK, except where specially stated. Members living overseas, however, will have to pay any additional (printed papers) postage costs, which will be advised on request. Please make cheques payable to “The Midland Railway Society”. The Society regrets that it is unable to accept payment by credit or debit cards. Payment by PayPal is also possible (with a surcharge of 5.5% to cover the cost to the Society of using this service). If you wish to pay by PayPal please use the address paypal@midlandrailwaysociety.org.uk and state which books you have purchased. Many members have standing orders for publications in the Midland Record / Midland Record Supplements / Midland Engines / LMS Locomotive Profiles / LMS Journal / Railway Archive series. These are despatched with an invoice when published. Please contact Andrew Cholerton at the above address if you would like your name adding to the list of subscribers for one or more of these series. 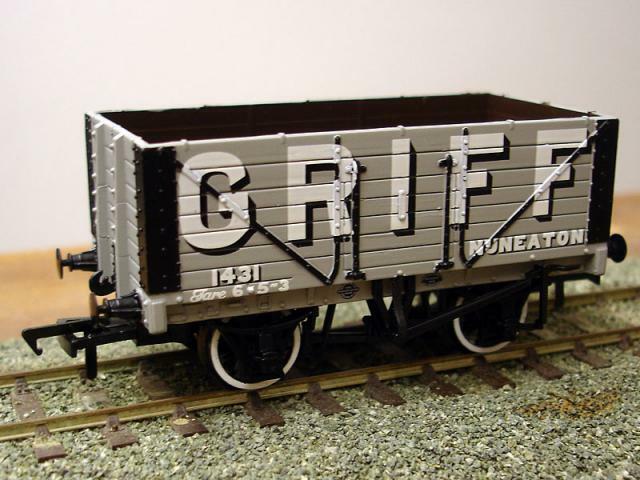 We have commissioned an ‘OO’ gauge wagon from Bachmann in the livery of Griff of Nuneaton. See our Griff wagon page for details of how to purchase a wagon. From time to time the Society has other items for sale. We regularly produce Christmas Cards, and have commissioned ‘OO’ gauge wagons for general sale.